Who is Precision Pipe & What Do We Do? Precision Pipe & Vessel, is a Denver based ASME welding and equipment fabrication business with ‘NB’ ‘U’ & ‘R’ Stamps and certification. Precision Pipe designs and builds individual components and complete turnkey skid packages. Precision Pipe has successfully completed more than 4500 jobs since 2000 which include small piping jobs, repairs of pressure vessels, TEMA Type Heat Exchangers, Pressure Vessels, and complete turn key skid packages. Precision Pipe has a long history of providing cost competitive turnkey packages complete with electrical, instrumentation, controls, and complete engineering packaging. Precision has designed and built many components for installation including: Natural Gas Processing Plants (JT & Refrigeration), Separation, Refrigeration Packages, Dehydration, Compression, Chillers, Line Heaters, Production Units, Cabin Heaters, Tanks, Towers, Stacks, Flares, Boilers, Land Fill Methane Collection. Although Precision Pipe specializes in Chemical, Oil & Gas processing equipment and facilities, Precision Pipe also has significant domain experience in Renewables, Co2, Prototyping and other process equipment. Precision is staffed with a team of professionals with diverse backgrounds, ingenuity, and the willingness to take risk. We find satisfaction in developing new products and building prototypes. Precision Pipe has helped dozens of companies (including ourselves) develop new products, build fully functional demonstration facilities, and seek patent protection for these innovations. Our product development experience includes gas processing equipment, catalyst, fixed and mobile laboratories, reactors, gasification, alternative fuels, cellulosic biofuels, clean tech, directional drilling, fracking, textiles, cosmetics, pharmaceuticals, oder & emissions elimination, distillation, traditional and renewable energy related developments. At Precision Pipe We are always looking for ways to save our customers money, improve lead-time, and deliver an excellent product. If you haven’t had a chance to work with us, give us a call, we would love the opportunity to partner with you. Ok, I know what you are thinking and you are right, we’re not a giganto conglomerate that has thousands of people working for us at multiple locations! Yes, this is true, but what is even truer is that on a daily basis small companies must fight against losing their nimbleness, effectiveness, and..well, their human touch. We believe in measurement and standards, but not at the expense of losing touch and becoming irrelevant. We believe in knowing our employees, not intrusively, but in such a way that they know they are a valuable member of our team. We believe in getting out of our offices and wandering around. Nobody in our company does this better than our President, who regularly practices MBWA and often times finds himself in the middle of lending a hand to one of our employees. 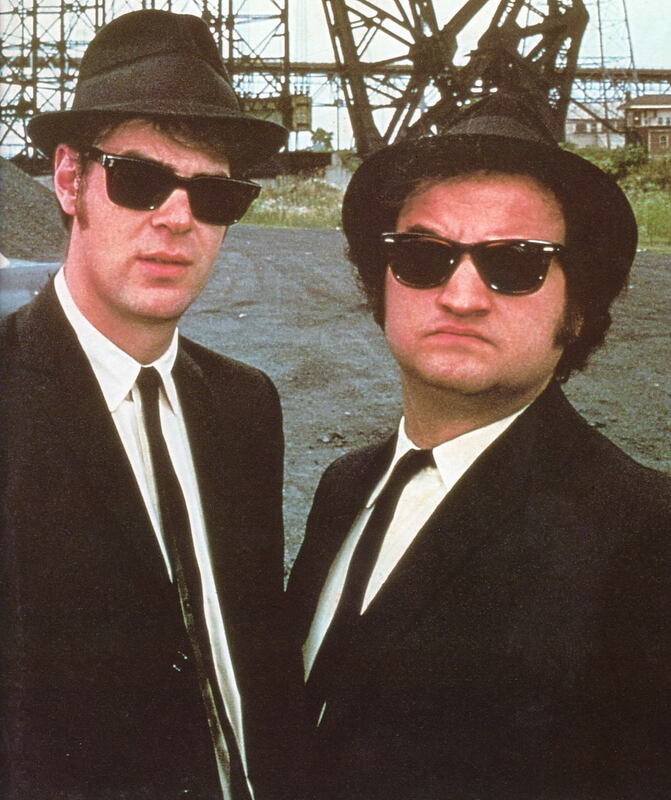 (And on occasion our customers) There is no substitute for MBWA; it is the lighthouse that steers the small business away from the shoreline of irrelevancy that it is headed for. Engage in MWBA today…seriously, get up and go wander! An interesting project has come to our shop that is leading to a new welding procedure. The project is a simple stainless steel pressure vessel, 6” diameter pipe, 0.432” wall approximately 18” long. While this seems overly simple it has led me to investigate the welding options we have qualified for stainless in our shop. We have stainless hardwire, flux core, stick, and TIG procedures but which one to use? Flux core fills very fast, hardwire is clean and neat, TIG has an artistic look when done right but is slower then hardwire and flux core. Stick welding is smoky and unless the welder is REALLY good it just doesn’t look as nice as the others. I’m beginning to think multiple processes. If we hardwire the root then no backing gas is required (meaning we don’t have to purge the inside of the vessel to remove any oxygen exposure on the back side of the weld) then we can fill the majority of the weld joint with either spray arc hardwire or flux core and finish with TIG. We get a solid, quick welded joint that looks like art! But I don’t have a weld procedure that includes three different welding processes. Do I need to break out some stainless steel scrap and weld up a coupon using the three selected processes and have it tested? Conveniently, I do not. Because I have Procedure Qualification Reports (PQR’s) for all three processes I can write a new procedure using the existing PQR’s. I can take the information from each PQR and implement a new procedure that includes all three processes. Each process must be noted on the new weld procedure and the essential variables must also be noted. One other item to be sure to review, the thickness of the additive PQR’s must yield the thickness range required for the intended joint. Maintaining documentation of all our welding processes and procedures makes this an easy accomplishment, an accomplishment that allows us to utilize our knowledge and history to go forward. If you like the way a certain welding process looks but have been told it costs too much or takes too much time, give us a call. We’ll help you find a happy medium that yields beautiful welding and cost effectiveness. We recently avoided a costly mistake. Our vendor had issued a quote on materials for a job that our customer needed expedited. Throughout the chaos of organizing resources, work space, and reading through material quotes, it would have been somewhat understandable for us to award the materials to the lowest bidder and tell them to get them coming. Fortunately for us, we have a few procedures in place that keep us from turning something around that quickly. We stayed true to our practices and within a few minutes of going through our purchase review, we uncovered discrepancies within material and quantities, navigating ourselves out of an impending storm. Procedures and Policies are good as long as they allow you to work efficiently. Conversely, when Policies and Procedures are cumbersome and do not allow your organization to be nimble, it is time to examine the reasons behind the P&P and come up with better alternatives or more streamlined versions. What Policies and Procedures hold you back from becoming better? Having a market advantage is a huge goal for most companies especially during market down turns. Often times a company may have such an advantage and not know it, or at least not know how to capitalize on such opportunities. One market segment that Precision Pipe excels at and enjoys is building Dew Point Processing Plants also know as refrigeration plants, NGL, or Natural Gas Liquids Plants. 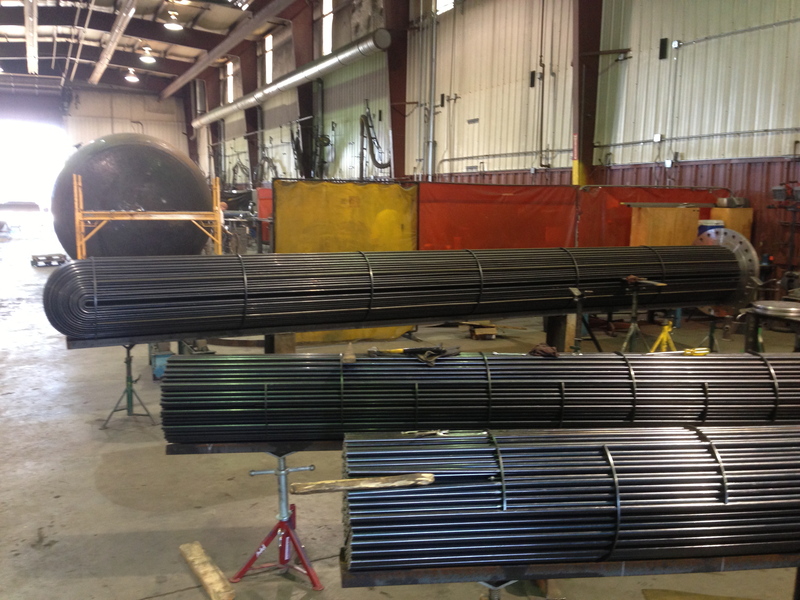 What sets Precision Pipe & Vessel aside from our competitors is we have many different approaches to building gas processing equipment that other fabricators don’t consider or offer to their customers. Our approaches include remanufacturing used equipment in a quality manner giving the appearance the equipment is new (often times it is as good as new). We also painstakingly examine and inspect each mechanical component to ensure reliability and give estimated time before component overhaul. We also build complete brand new plants from the skid up. All of our products are turn key with complete instrumentation and piping interconnect as specified by each customer. As soon as the plant has been connected to utilities and the associated site piping our systems are ready to be started up and turned over to operations. Our most recent gas plants have taken yet another approach that provide the longevity and the associated technology of new and modern Gas Plants yet maintain the cost savings of remanufactured equipment. 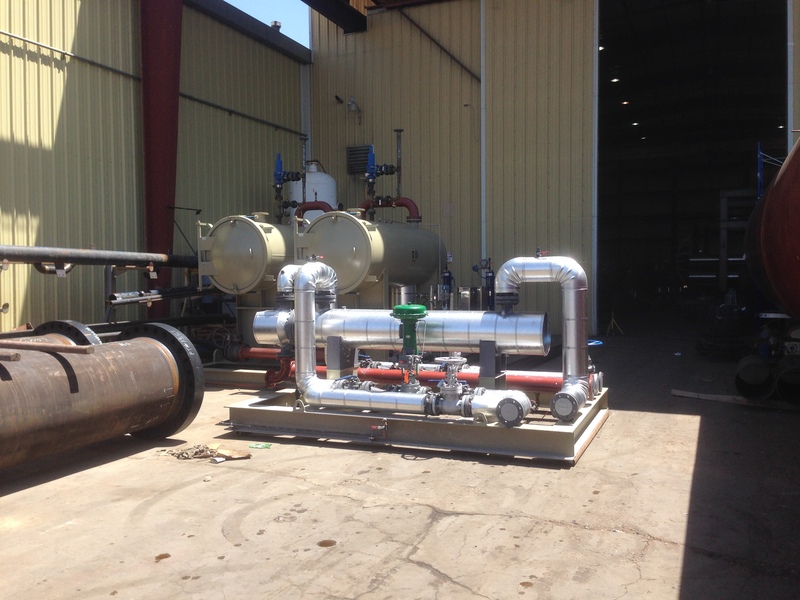 Recently we have assembled a plant that used brand new wear components such as a refrigeration compressor, glycol pumps, instrumentation, heat exchangers, and other moving components. However, we created substantial saving to our client by using ASME pressure vessels and a glycol re-boiler off of used equipment. We simply identified vessels in our inventory and evaluated condition and specification according to the refrigeration plant. Next, we transplanted the vessels onto the new skid and re-registered the vessels with the National Board. This process cut months out of the fabrication schedule and reduced the cost of the plant by nearly 30% for our customer. 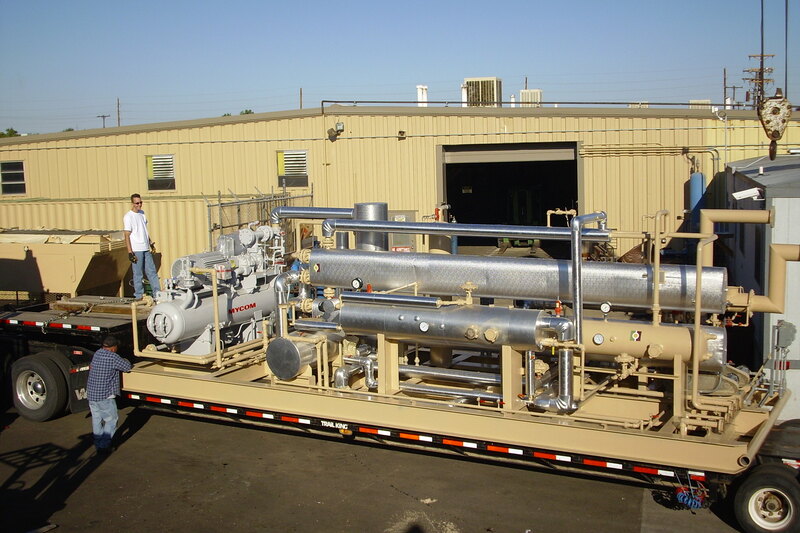 When it was all said and done we shipped a modern gas plant to our customer complete with computerized controls and modern instrumentation at a greatly reduced cost. We were also informed by our customer that our delivery was several months quicker then the next best offer. As it stands today the plant has operated for nearly a year with no shut downs and only routine maintenance performed. This has become a good case study for cutting costs and improving our customers ROI by using creative and alternative fabrication techniques. is a fully qualified ASME code shop (U,R,S, & NB stamps) that specializes in gas processing equipment, gasification, alternative energy, and product development engineering and fabrication. We know that the two options have serious problems. If we ramp up resources, our margins slip away fast. When we go to our customer with a list of why we can’t, we look incompetent and incapable of completing a task we said we could do. Neither of the two options sound very appealing to me, yet businesses engage in them countless times, usually, with no shame. How then, do we carry our project through on time and on budget and mitigate the risks and unknown problems that may arise during the project lifespan? Two words: Hard Work. It takes hard work to plan out resourcing and stay on task. It takes hard work to stay motivated to see a project to its completion, but the payoff – well, it’s usually worth the hard work. Usually, there are simple steps that we can take to make sure we stay on task and that our hard work is not in vain. Years ago, a mentor of mine encouraged me to write on a 3×5 note card the three most important things I had to do the next day. (At the end of my day, everyday) That way, when you come in the next day, you know exactly where to start and what is important to accomplish. The great thing about this advice is that it keeps you on track in the midst of a chaotic day. Another great tip from my mentor is to hold a 10 minute meeting at the beginning of each day with various leads and managers of the project that is in progress. This gives you as project manager the forum to ask of your leads: “What are your priorities for the day?” This in turn, leads to greater communication and accountability within the team.